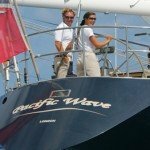 Dynamic Charters offers a great selection of luxury crewed sailboat charters for your British Virgin Islands and Caribbean yachting experience. 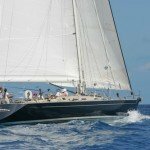 If you are looking for a classic sailing vacation with all the modern conveniences, a monohull charter is for you. 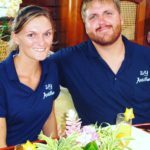 Browse through our all inclusive sailboat listing to find one that suits your needs or contact us immediately to receive our expert advise. 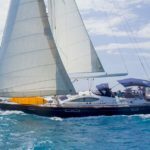 Why would you choose a Monohull for your vacation? Click and Read More ? 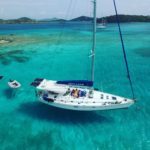 Chartering a sailboat in the BVI will take you back to the days of pirates and salty sea dogs who navigated the great blue ocean in search of Spanish Galleons. 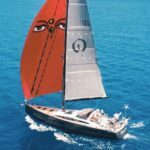 You will love the feel of dangling your legs over the side of the deck and the wind whipping around you as sail through the seas. 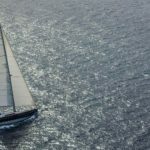 Though Monohulls might not have the deck space of a similar-sized catamaran, they tend to be faster boats in a fickle wind. Enjoy the awesome sounds of silence. 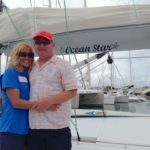 If you are lucky, you may see dolphins playing in your bow wake and there is nothing as relaxing as the gentle rocking of the sailboat lulling you to sleep.